MAD, ‘Maxim And David’ or ‘Meirhaeghe and Dhondt’. A collaboration of two extremely passionately driven professionals. David Meirhaeghe, former Belgian Champion Downhill and former head of mechanics for brother Filip (world champion Mountainbike). 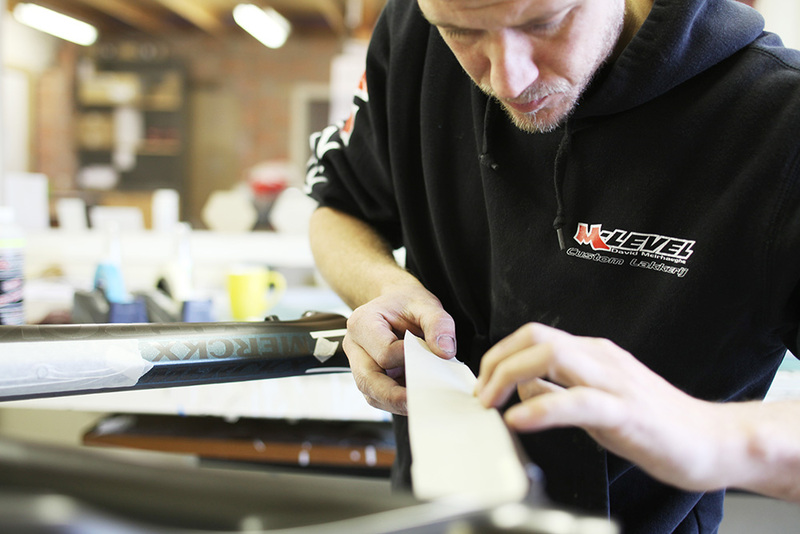 For yers the man behind Custom Lakkerij M-Level. 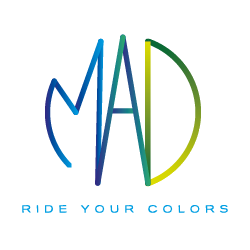 A company specialized in the production of customized paintwork. Because of his great know-how and professional skills, David has won the trust of several well-known bike manufacturers. A large proportion of all bicycle frames on the Belgian market passed by David’s studio. Maxim Van den Abeele, optician-optometrist and bicycle mechanics of training. He is the 2nd generation of the eyewear shop Optiek Dhondt in Ronse. Maxim has been active in the optical world Since 2005. Because of his extensive experience in the business and as a sports enthusiast he has the necessary know-how with the many sports glasses that are present on the current market. A few years ago he was working in his free time as mechanic of his younger brother. 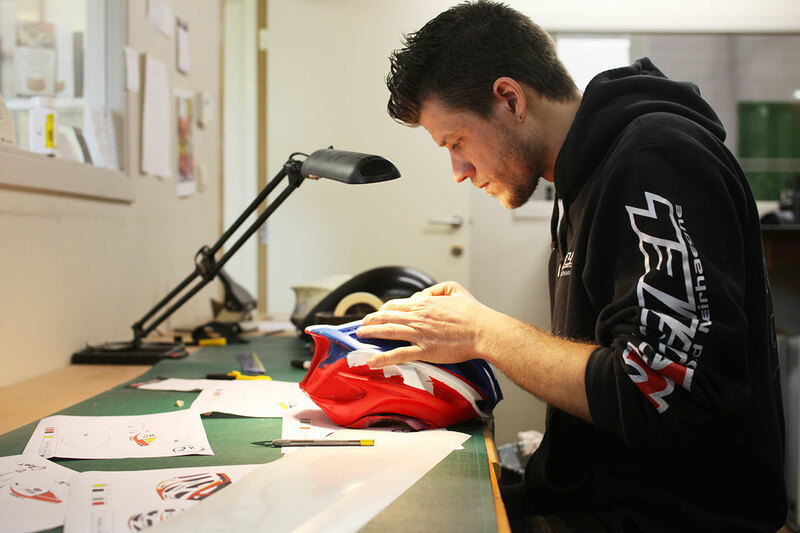 With the mix of the cycling vibe and eyewear shop, Maxim came up with the idea of personalizing sports glasses. The idea had an immediate success among the Belgian cyclists and soon Maxim could no longer handle the demand alone. In the year 2016, ‘Maxim And David’ entered into a successful partnership. This coalition has ensured that the range has grown and we are a well-known name within the cycling environment.